I started out as an art historian, with a specialism in 20th century art and design, and I have had a dual career in art and education. 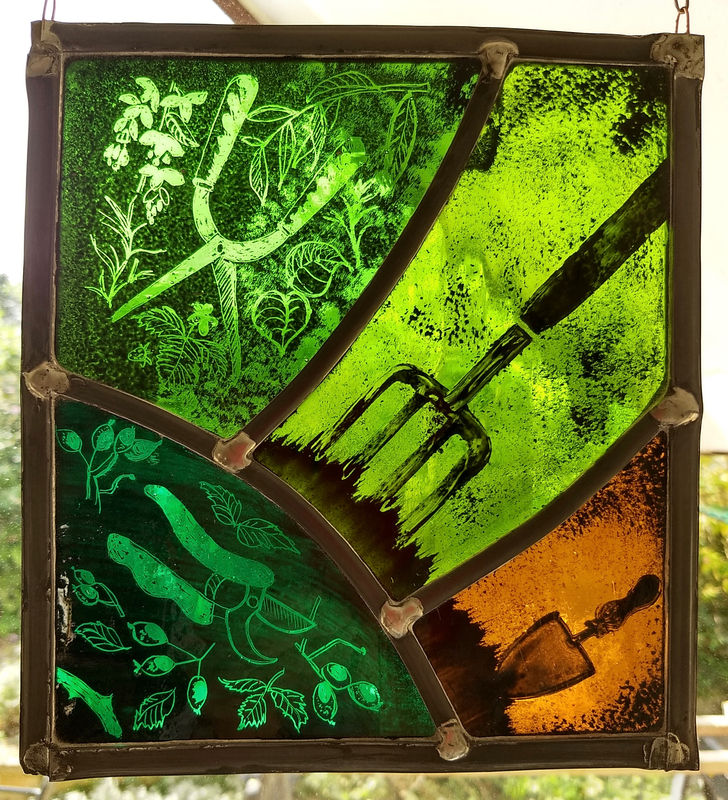 Having worked with resident artists in schools, I was inspired to join the Part-time Foundation Course at Banbury, and I enjoyed every minute. 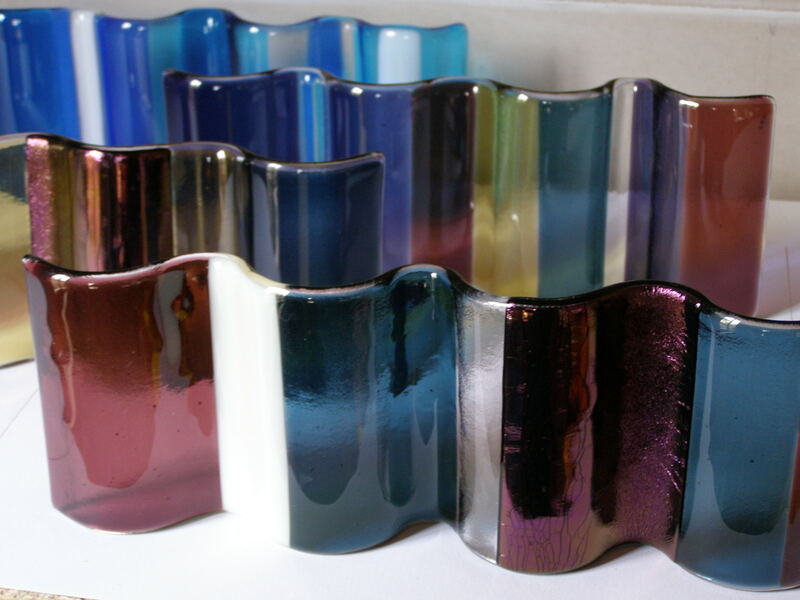 Seduced by glass, I continued my studies at Bucks New Uni and studied architectural glass at Central St Martins. 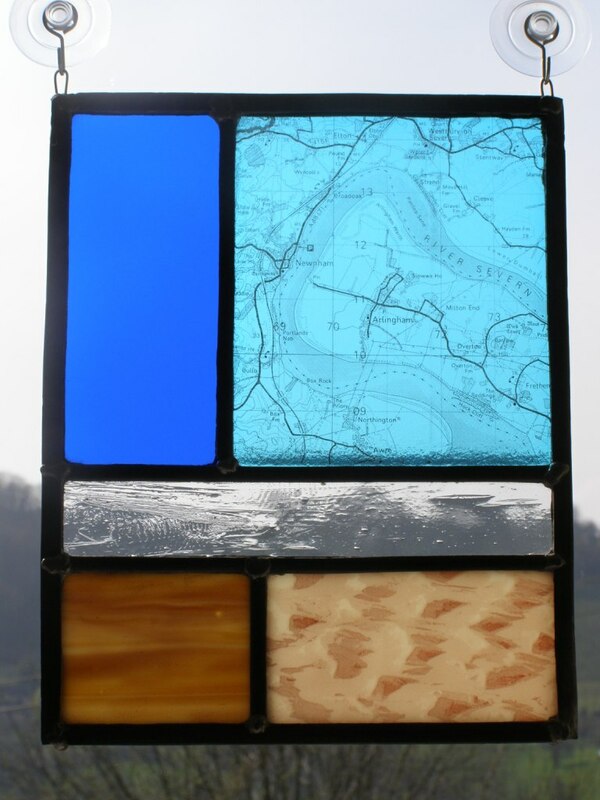 I work in kiln-formed glass and I make stained glass panels, to be hung against a window. 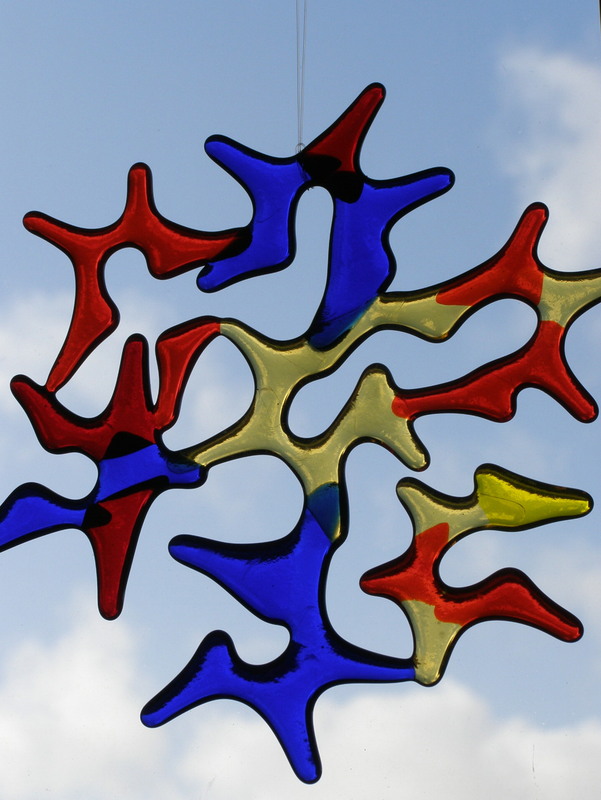 I also make glass to be set within window and door frames. I am happy to work to commission, particularly to commemorate and celebrate people and events. I am currently developing ways of using traditional glass painting combined with contemporary technology to incorporate imagery and pattern. 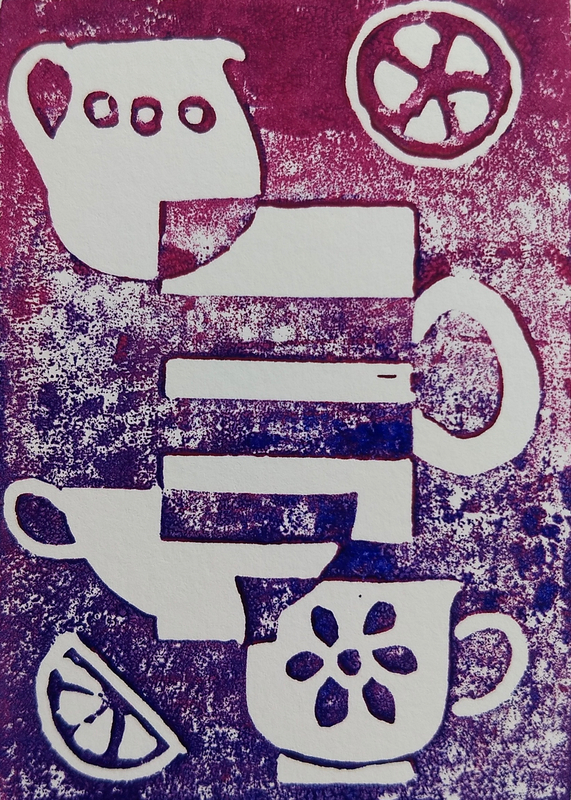 I have also been experimenting with simple print making techniques on paper. 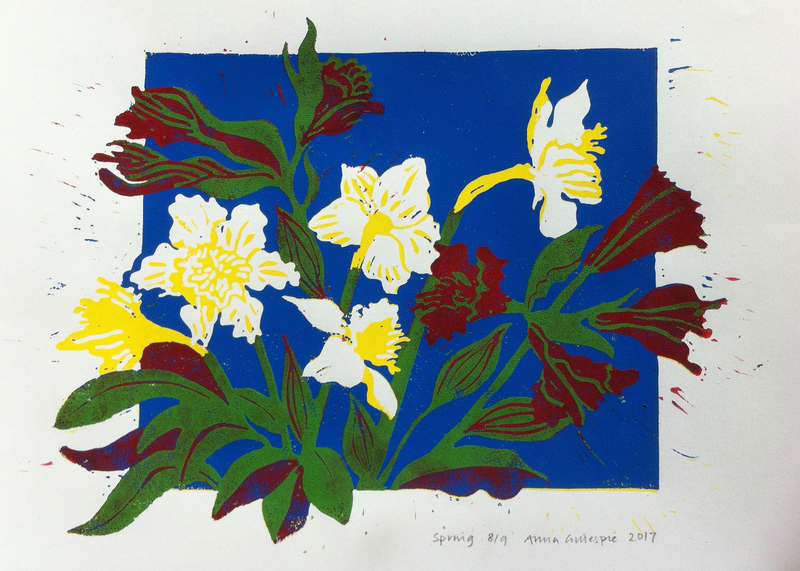 I am also a member of West Ox Arts, where I am currently Gallery Manager, Exhibitions.